Sully here! Today I'm offering my post as a professional courtesy to Tom Flynn, with the Maine State Police, sent me this email, and I thought you'd all find it interesting. 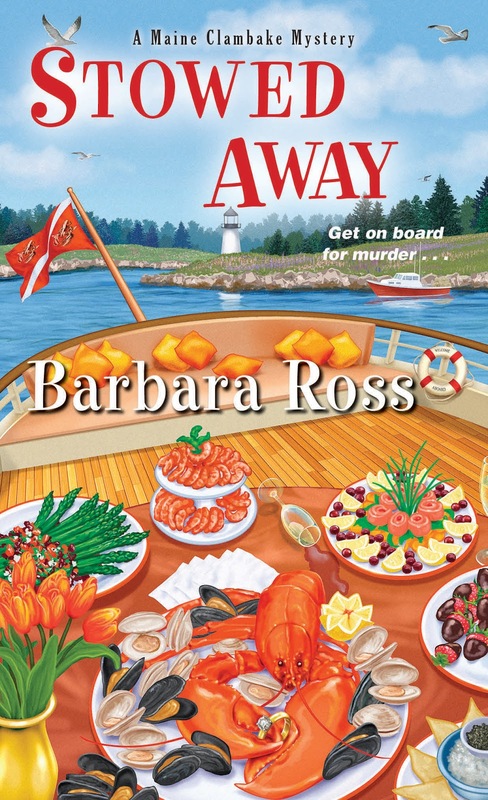 Today we’re giving away two signed copies of Stowed Away, Maine Clambake Mystery #6 (releasing December 26) to lucky commenters below. Please excuse the group e-mail. Unfortunately, once again I won’t make it home to Providence for Christmas. My lieutenant has a wife and two kids, so he’s taking the holiday, which leaves me here to deal with whatever comes up. First of all, Merry Christmas. I wish I could be there for the celebration. My nephews, Kyle and Lyndon, must be getting so big. On the work side, I’ve had a busy year with the Maine State Police. The Major Crimes Unit investigates all homicides throughout the state, except in Bangor and Portland. This year out of 25 total homicides (so far), 10 have been in the Central Division where I work. Most are tragic domestic situations, easy to solve, but hard to deal with emotionally. But we also had a couple of doozeys this year, including the murder of a billionaire on an enormous yacht in Busman’s Harbor. Since the victim was a recluse who never left boat, there were a limited number of suspects—the crew and a few people he’d allowed on board for a dinner party. Unfortunately, my girlfriend, a brilliant chef, was a member of the crew, so I had to be excused from any formal role in the investigation. As you might guess, I was keenly interested in the outcome and managed to stay involved on an informal basis. The case took some shocking twists and turns, but we did push through to an unexpected resolution. About the girlfriend… I had hopes this would be the holiday season I could tell you all that your long-time bachelor son, brother, nephew, cousin was finally settling down. I didn’t work out that way and I remain, as ever, unattached. So I continue to keep my head down and focus on work. And to visit the gym everyday. I call it my second home. At this time of year, I get nostalgic about the big Christmases we had at Grammie and Grampa’s when I was a boy--the women in the kitchen preparing the delicious meal, the men watching the game and all us cousins running wild all around the house. I hope you have as good a Christmas this year at Mom and Dad’s. I wish I could be with you, but you all know why I left the Providence PD, and I think we all agree, it was for the best. Raise a glass to me at the feast if you think of it. It’s June in Busman’s Harbor, Maine, and Julia Snowden and her family are working hard to get their authentic Maine clambake business ready for summer. Preparations must be put on hold, however, when a mysterious yacht drops anchor in the harbor—and delivers an unexpected dose of murder . . . When Julia’s old prep school rival Wyatt Jayne invites her to dinner on board her billionaire fiancé’s decked-out yacht, Julia arrives to find a sumptuous table set for two—and the yachtsman dead in his chair. Suspicion quickly falls on Wyatt, and Julia’s quest to dredge up the truth leads her into the murky private world of a mega-rich recluse who may not have been all that he seemed . . .
A salute to you dearest Torn! We appreciate your service and will miss you at the family gatherings. Wishing you the Merriset of Holidays. servedogmom AT Yahoo DOG com. Merry Christmas and may the new year bring you lots of best sellers. Merry merry! I enjoy holiday letters every year, but have never received one thstbso candidly discusses murder! Thanks so much, looking forward to this book! Thank you everyone and good luck with the contest. Another great book I’m looking forward too!!! Thank You for the chance!! I love Maine, so these stories are of particular interest. Poor Tom. I hope things improve for him. I love this series and own 3 of the titles. I'd love to be the winner of Stowed Away to add to my collection. I’m looking fowRd one reading this. Merry Christmas! Today is my 32nd Wedding Anniversary! I can't think of a better gift than to win a copy of this book! I love this series! Geez, how do these series get away from me like this? I really need to get caught up. Can't wait to read this one too! Merry Christmas! Thanks for the chance to win. Merry Christmas! And thanks for the super giveaway. Wishing you a very happy holiday. I'm excited for #6 in the series. Please enter me in the contest. Thank you for the chance. I would love to read "Stowed Away". I like reading about life in Maine. Thanks for the chance. Merry Christmas! This sounds like a fun series, altho it's sad that Tom can't spend the holidays with his family. Merry Christmas. I would lve to read "Stowed Away". Thanks for the chance to win. One of my favorite Cozy series!! No worries if I don’t win, I’ll for sure be heading to Barnes and Noble to pick up my copy on the 26th! 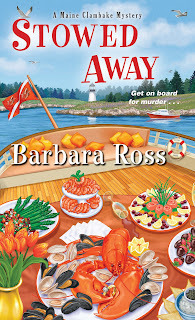 Thanks for this fabulous chance to win a signed copies of Stowed Away! Well, that was an interesting letter. He sounds like he is doing well. I know what it's like to be without family around the holidays. Happy holidays to you all. I forgot my email: catwoman-1(at)Comcast(dot)net. I worked every Christmas when I was a cop and when I worked as a Security Hospital Treatment Assistant. Now I'm thankful I have the major holidays off. I led the patients caroling for their peers today and tomorrow is the holiday party! I did find it interesting thank you. I have the first book in the series and Eggnog Murder. Wishing you a very Merry Christmas! Hats off to all our first responders and military. I would love to receive a copy. Meg85242 (at) gmail (dot) com. Thank you! I absolutely love this series. thank you for the chance to win a copy. Merry Christmas! Merry Christmas everyone! This sounds like a fun story to read. Count me in.